The ultimate goal of any business brand on Instagram is converting their followers into buying their product or services they render. In fact, it is the essential factor when it comes to any form of marketing – converting engagement to sales. The main goal and effort of handling an Instagram account for a business brand are done with the hope that its followers and viewers would be converted into customers. Thanks to the awesome quality of striking visuals that Instagram affords, Instagram is one the best Instagram app for the image maker’s favorite Instagram app. Instagram striking visuals make a quick and lasting impression on its viewers. In a recent study, it was projected that 71% of U.S. companies are active on the Instagram platform last year alone. Engagement is vast on the Instagram app with its massive growth rate, and an estimated 800 million users active monthly and over 400 million of these people are active daily, tapping into the sales conversion structure of the app would be beneficial and take a strategic plan. For your brand to be successful on you, need to know how to turn your followers or viewers on Instagram to customers. Instagram is a great awareness app for brands but it is useless if it is not converting viewers and followers to customers. These are simple steps that should be adopted daily in your routine handling of the Instagram app to convert viewers and followers on Instagram into customers. Exclusive contents are the jewel of Instagram marketing. 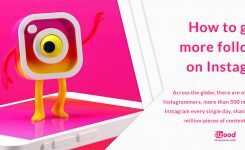 It engages your viewers and followers on Instagram and keeps them coming back because they know that not only are your contents valuable, they are also exclusive to you. It engages them and encourages them to interact with your brand. You can use Instagram to reveal products you have not released anywhere else this makes your Instagram followers feel important and special as they are the first to be aware of the product release. When creating your Instagram bio, you should reflect in your bio what it is that your brand does and what values your followers stand to gain from associating with your brand. When prospective customers look at your bio, they should be able to tell whether you have what they are looking for. Your Instagram bio should be able to showcase who your target audiences are just by potential customers reading your bio. Sometimes getting your followers to make that first purchase can be a very daunting and challenging task. Little wonder that most first time customers engage in buying products from business brands on Instagram when there is a carefully laced discount. A discount offer is a perfect tool sometimes to induce followers to purchase from your brand. It adds value to your followers as they can get the product at a discounted price off of you because they are your followers on Instagram, this makes them feel special. Using hashtags combines with offering discount or promo code on your Instagram has the capability of converting your followers to customers. 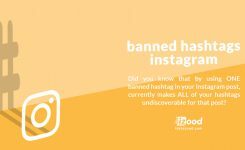 These tactics pay off well because when you use hashtags your target audience can easily locate your Instagram page on their explore feeds. 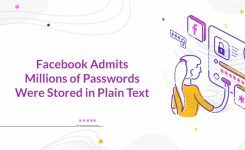 And because it is a promo code your customers would be very engaged to the post which in turn makes the engagement on that post grow because by now people already realize that they can get an exclusive offer from you in the form of a discounted product. There is a limit on the number of hashtags per post. You have a limit of 30, and it is important you use them at the end of the post and not with the wordings of the post, or better still in the comment section of your post. This ensures that your posts and caption do not kook overloaded. Followers on Instagram love contest. In just a few seconds and by following a few simple rules such as following you and sharing your post or liking your comment, they can win prizes. And this way plenty of your followers would be ready to buy products from you because they can browse the goodies you sell after seeing your contest post. The contest itself and the activities to be done by your followers to enter the contest to win the prize should also be something that would create engagements and more awareness by your followers for your brand. It is an open secret that reviews and testimonials would get you more customers than what advertising with mere words or post would ever do. Your potential customers would want to know that buying your product is worth it and that other people who have bought your product have benefitted from the value of purchasing that product from you. Seeking for testimonials from customers who have bought from you and enjoyed your product can work amazingly in convincing potential customers to buy from you. A common mistake most brands make is that they do not do everything possible to keep their followers as engaged as possible and always be all pin their face, Ensuring your followers are engaged with your brand, posting regularly, adding value to them if when you are not selling is a sure way to turn potential customers into actual customers. Even if they do not buy directly from you, they can refer your brand to friend and family who are actually in need of the product you offer. Posting on your Instagram account once a week wouldn’t cut it out as engaging with your followers, you have to engage with them on a daily basis as this will create a more authentic interaction with them. You need to put effort into socializing with your followers, liking their post, responding in their comment section, being friendly and likable, this would help build a community around your brand and make people interested with your brand. One effective way to get more customers in patronizing your brand is by leveraging on Instagram influencers. This approach is a bit different from the other methods mentioned above because using this approach the potential customers here are no necessary your followers but the followers of the Instagram influencers. Instagram influencer enjoy a great deal of loyalty from their followers and as such partnering with an Instagram influencer can prove to be a very successful strategy for your brand and also help in increasing engagement and awareness of your brand. In a recent study conducted, results showed that Instagram influencers could increase the conversion rate of a brand by more than 22 times of the current conversion rate of the brand. Furthermore, followers trust the judgment of Instagram influencers and are more likely to follow the recommendations made by an Instagram influencer. A prevalent mistake made by brands on Instagram is being lazy with the photos they upload on Instagram. Using a right quality image would make your product more likable. Use filters o to enhance your photos before posting them. Also making use of alighting, cool angles, and other photography tricks can make your products seem unique and different from all that can be obtained out there. The Instagram app deals more with visual, and you can be lackluster about the images you post on your Instagram page. Instagram is very much a visual platform, but you still have the opportunity to call on your target audience to make a purchase in your post description or caption. This is also known as a call to action (CTA). Including a call to action in your post is a great way to inducing your target audience to purchase from you and become customers. Your call to action doesn’t have to be complex; it can be as simple as “Love it? Then send a DM to make this product yours”. The Instagram story feature allows you post a story that disappears in 24 hours. It is a great way to share promo codes and discounts, this way, followers of your page can enjoy exclusive contents, deals, and opportunities that others would miss out on. This way your Instagram followers would enjoy benefits that others would not get, giving your followers the impression that they are an inner circle. Besides those who missed out would become more alert, and this would increase the engagement on your Instagram page. There is a popular saying that goes “the principle always works, what happens is that we fail to work on the principle.” All the mentioned point requires dedication and commitment to make it work, but try not to get overwhelmed by the strategy. Work on each of the strategies one step at a time and take on only what you can do consistently and build up on that.